UPDATE 13.10.2016: HP finally surrendered after massive complaints of customers and released official firmware updates disabling the blocking mechanism for older and non-genuine cartridges. For more information and link to official firmware fix click here. Direct link to official 8610 firmware is here. 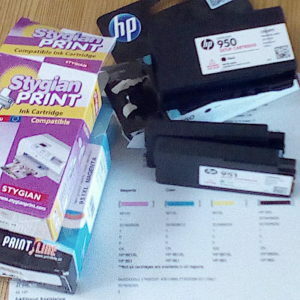 The following article is kept for reference as it was the only way how to solve the issue with non-working OfficeJet printers for about one month after the blocking mechanism previously built to HP firmwares was triggered by the right date.